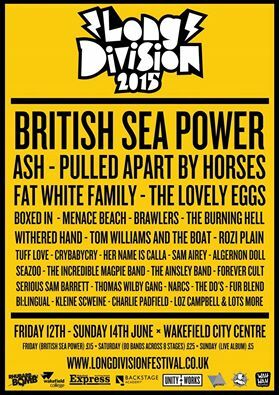 Long Division Festival in Wakefield works on the exact same principles as its West Yorkshire counterpart Live at Leeds. It takes place over a full weekend with the Saturday providing the main event, in this instance with over seventy local and national acts performing over eight different stages from midday until midnight. Back for its fifth year and in keeping with the 2014 event, two of the stages will be housed in the magnificent Grade II listed building that is the city’s Unity Hall. Recently restored to its former glory, Unity Hall is the creative cultural heart of Wakefield and the centrepiece of what has fast become an exciting, vibrant three-day event. A Saturday All Day Ticket can be yours for £25. Be sure to get one quick as Long Division always sells out.